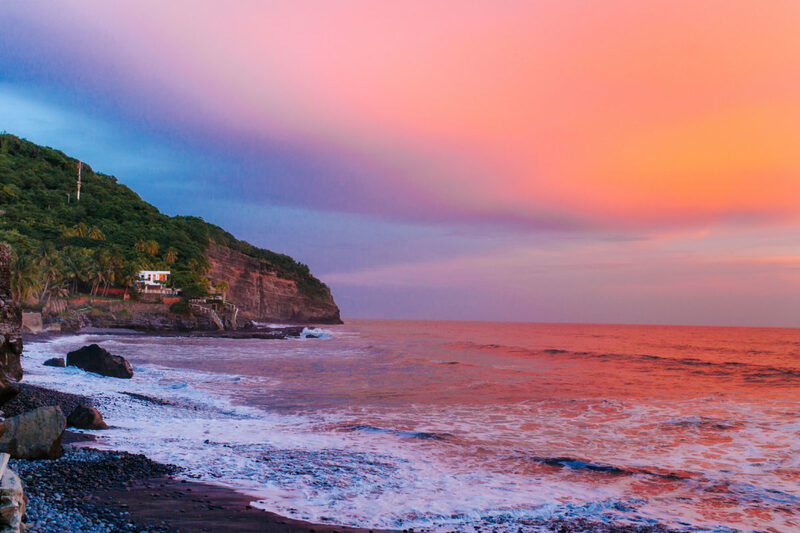 El Salvador is one of the most popular destinations for surfers in the world. 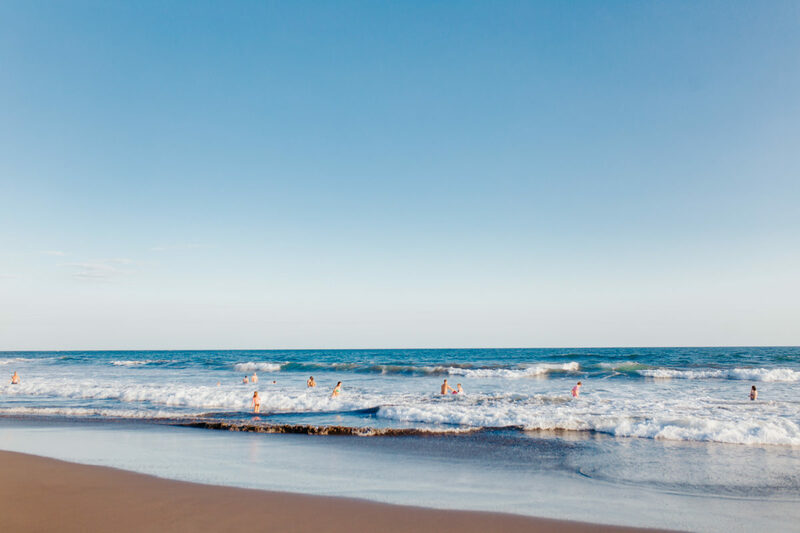 With beautiful beaches and formidable surf breaks that deliver good waves year-round—and famous for its rare, right-breaking waves—it’s no wonder surfing plays a huge part in the country’s tourism economy. But it’s one thing to know where the best breaks are, and quite another to make a stellar vacation out of it. 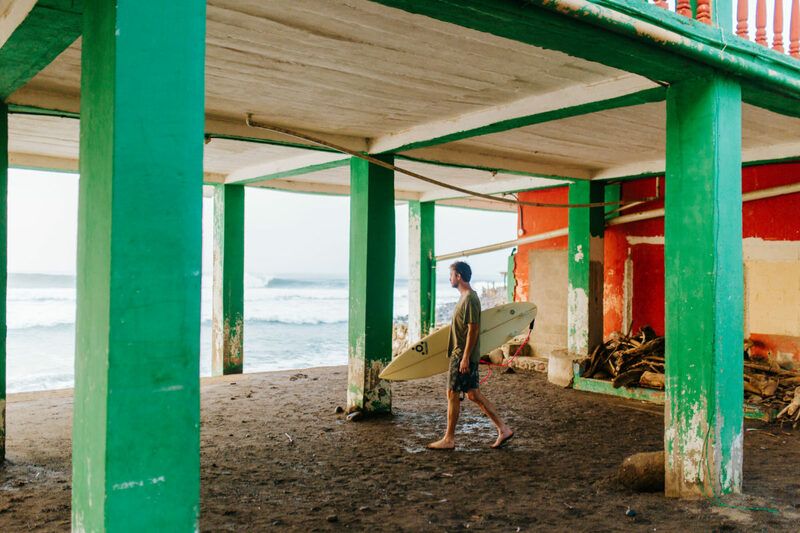 Here, Camilo Menéndez, owner of Palo Verde Hotel in La Libertad, details the three best spots for surfing in El Salvador along with his favorite places to stay, eat, and see nearby. A surfer checks out the El Zonte break. Palo Verde sustainable hotel, Puro Surf Hotel + Performance Academy or Esencia Nativa Hostel. Olor de Mar for fine dining. Do not miss the pizzas from Esencia Nativa Hotel, and try local food at Pupuseria “Lita” on the main street in front of the church in town. Watch a sunset while drinking a beer at Wipeout Surf House. Baby turtles release from their eggs from September to January. Look out for them if you’re in the area then. At Restaurant Nuevo Alta Mar, try mariscada (seafood) cream soup. Any local beer with a fresh ceviche at Plaza Marinera or a cocktail at AST Bar. Walk by the fishermen’s pier nearby and pay for a song by a mariachi band. 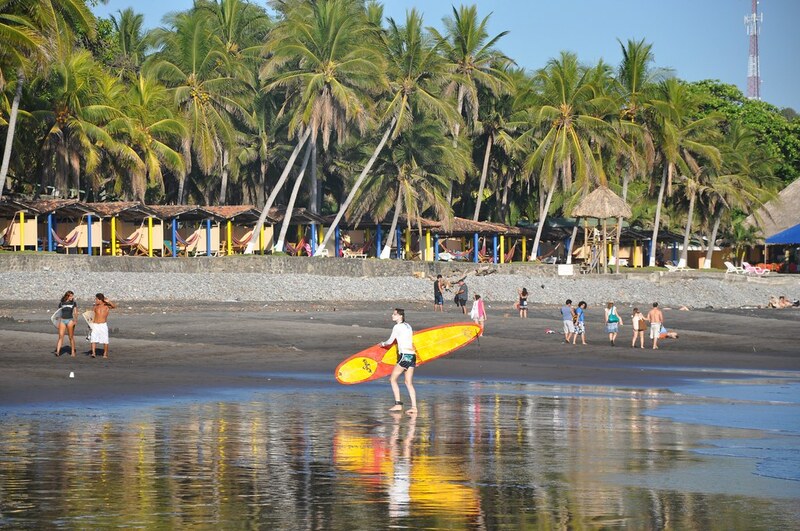 A surfer at Sunzal Point on Playa El Tunco in El Salvador. Boca Olas if you are a goofy footer (ed. note: right foot forward! )—it’s a 5 minute walk from the La Bocana river mouth. You could also stay right in front of Sunzal pointbreak at Casa de Mar Hotel if you like to ride a longboard. If you are looking for something more low-budget, La Sombra hostel or Eco de Mar are both great options. The food with the view at Cafe de Sunzal, the onsite Casa de Mar restaurant, or try fresh ceviche at Restaurante Ericka on the promenade. Monkey Lala bar—do not miss the sunset there—good vibes, good people, live music. Or go out at night on the main street and you will find tons of cool bars. El Tunco means pig in Spanish, and the rock in the ocean here will show you where the area gets its name from.